Need to remove a dead tree? DIY tree removal is okay if it's a small tree, but large tree removal should never be a DIY project. Large tree removal should be done by a professional tree removal company. Large tree removal requires a tree climber to climb up into the tree and methodically remove the tree branches one by one. Our experienced tree climbers will tie into the tree to ensure their safety before removing the tree limbs. The tree limbs will be safely lowered to the ground by the ground crew. There are many things that can go wrong while trying to remove a tree that's why we highly recommend calling a professional tree service. If you have an old unsightly tree or a tree branch hanging over the roof of your house, call Spring Hill Tree Specialists at 352-835-0899 for your free tree removal estimate today. Overhanging tree branches should be removed before heading into Hurricane season. Tree branches hanging over your roof are a huge hazard to the safety of your home. We can trim tree branches or remove tree branches completely to ensure the safety of your home during hurricane season. Whether your tree hangs over your house, or you have a dead or dying tree that needs to be removed, Spring Hill Tree Specialists is the best tree service company for you. 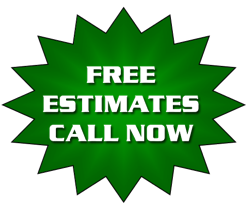 Call us today and we will come out and give you a fair assessment of your trees, along with recommended next steps to resolve your tree problem. For Tree Removal in Spring Hill, FL click the button below.